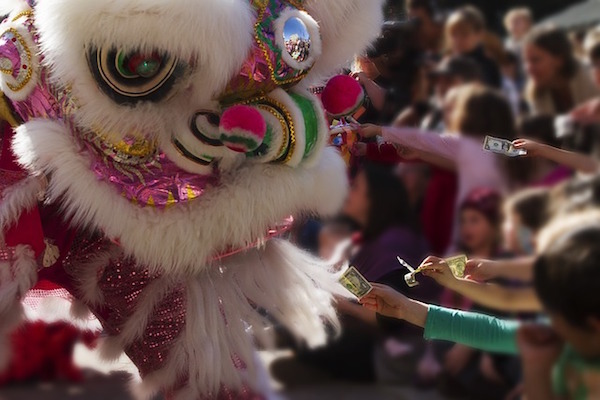 It is less than a month away to the Lunar New Year. Families are preparing for the festive season and traditions that are kept away for the rest of the year are starting to emerge again. 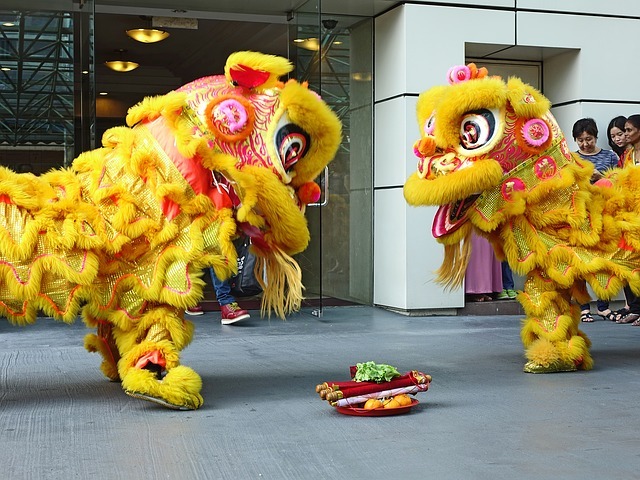 Recently, there has been much talk about one significant occurrence – Li Chun Day – and its significance to cultural financial beliefs. Li Chun Day is significant to many as it marks the beginning of spring on the Chinese Lunar calendar. But it holds more meaning to it than just the start of a physical season. Many believe that it is also a prosperous time to build wealth for the year ahead. Holding that belief close to heart, a great number of Singaporeans will be banking money into their accounts on that day. This year, Li Chun Day falls on 3 February. Expect to see long trails of customers queuing at teller counters and the cash deposit machines islandwide. 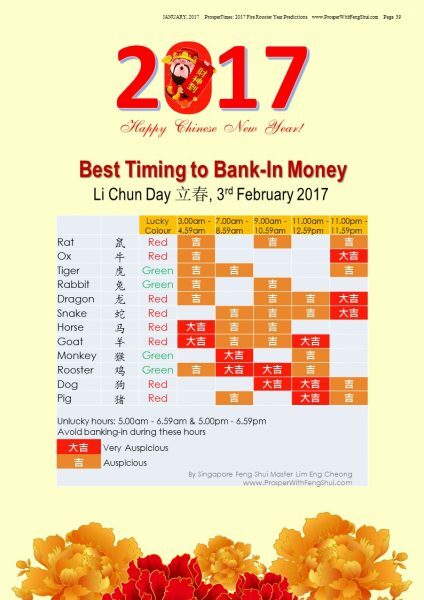 Chang Consultancy, a Feng Shui firm here recently released a timetable on the best hours to deposit your money in the bank, complete with “lucky colours” to be worn for all 12 Chinese Zodiac characters. Here’s an example. On Li Chun Day, a person born in the year of the Monkey should don green attire and bank in the funds between 7.00 am to 8.59 am when it is most auspicious. Another auspicious time slot falls between 11.00 am to 12.59 pm. But be wary to avoid the unlucky hours, which are from 5.00 am to 6.59 am and 5.00 pm to 6.59 pm. You will hear the elders nagging at the younger generation to make sure everything is in order as all the housework needs to be completed before the New Year eve. This is because absolutely no cleaning should be done after that point of time, as doing so will risk 'sweeping away' any incoming fortune. It is also advisable for you to pay off outstanding bills and debts before the new year. It is considered to be an auspicious act as it signifies that you are settling past burdens and letting go of negativity. However, in the event that you are not able to fully clear all your liabilities before the new year, you should still make an effort to at least make a small payment as a positive gesture. 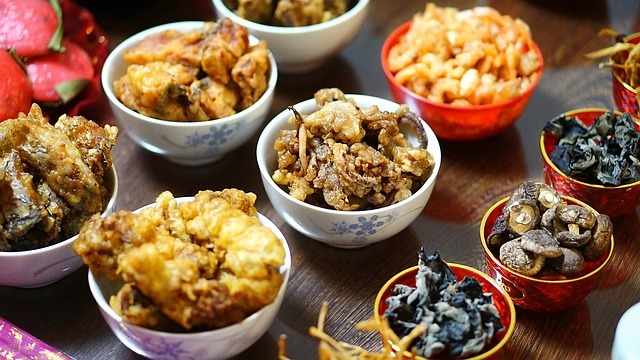 Certain foods are believed to increase one’s wealth and prosperity during the season. As such, the eventful reunion dinner is planned way ahead and no detail is spared. Fish dishes, such as catfish and mud carp, are a must. This is because the word 'fish' sounds like 'surplus' in Chinese. So it believed that having fish will help to bring in a surplus of wealth for the coming year. Dumplings are also another favourite item to be served at the dinner table. It is said that the more dumplings you consume during the New Year celebrations, the larger the amount of money that you will be able to make in the future. Fruits are also not to be forgotten during the festive period. Certain fruits such as tangerines and oranges are popular as their round shapes symbolize fullness and their 'golden' colours signify wealth. It also happens that the Chinese word for orange (and tangerine) also sounds the same as the word for 'success'. Another Lunar New Year belief is that botany is a boon to bring in wealth. It is said that as the flowers bloom, so will your own fortune. As such, there are some perennial favourites that are part of almost every Chinese home. For example, the peach blossom symbolizes prosperity, and growth. It also happens to be known as a symbol for romance and thus are popular with single folks who are looking for love. 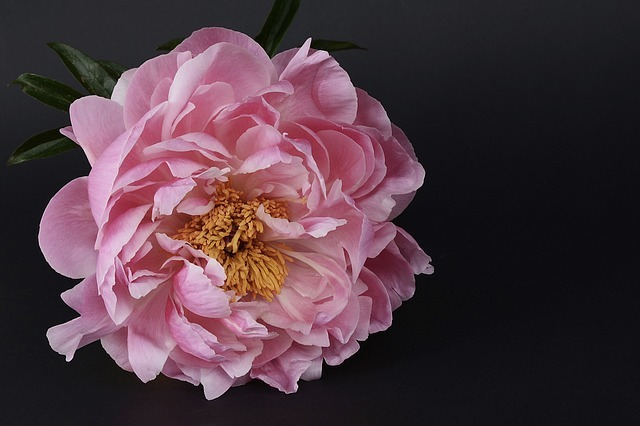 Peonies are another flower that is popular and it is known as the 'flower of riches and honor'. Red peonies, in particular, are believed to be especially auspicious for the Chinese New Year period.